This is 38 Special Hornady Critical Defense 110gr. 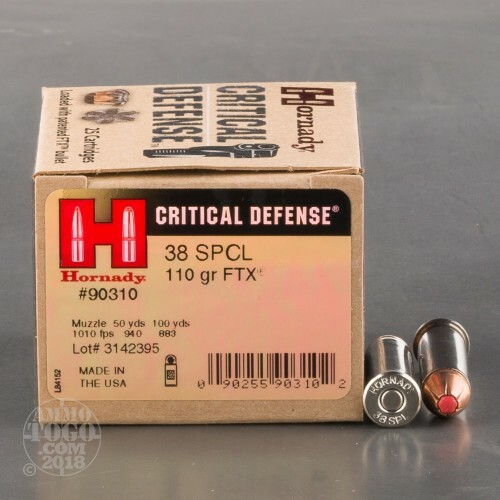 FTX Hollow Point Ammo. 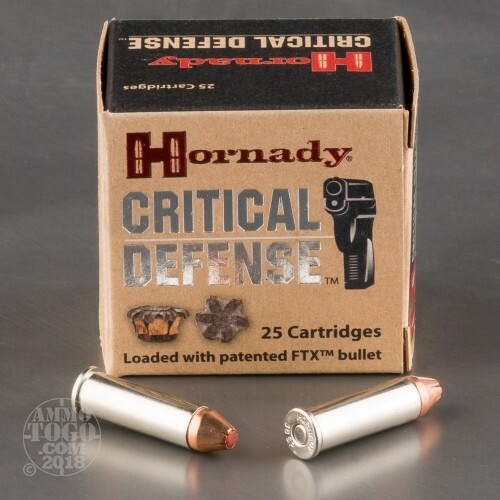 The new Hornady Critical Defense ammunition is the pinnacle in self defense ammunition. Using a variation of the tip material used in the revolutionary LEVERevolution® line of ammunition, Hornady engineers were able to achieve 100% reliable expansion every single time. Conventional hollow point pistol bullets have always had issues with the cavity becoming clogged with fibers from clothing which rendered them very ineffective in terms of expansion in soft tissue after encountering the clothing barrier. Critical Defense eliminates this issue — guaranteed. Critical Defense ammo is so effective because of the soft polymer insert in the tip of the bullet. It is rigid enough to prevent clogging when passing through clothing, yet supple enough to deliver violent terminal performance when the bullet encounters soft tissue - EVERY single time. 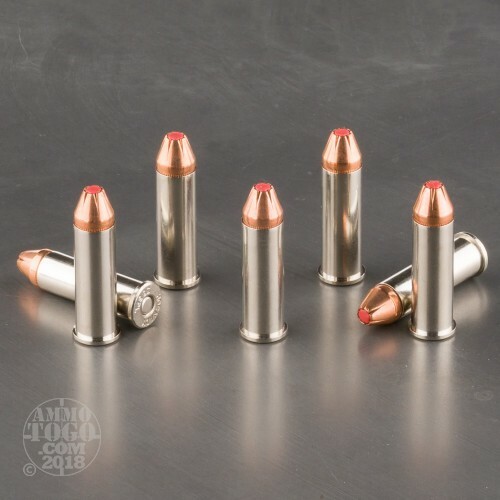 Additionally, all Critical Defense ammunition is loaded with nickel cases to eliminate corrosion and aid in low-light situations, plus its premium low flash propellants deliver maximum velocity, even in very short-barreled handguns. 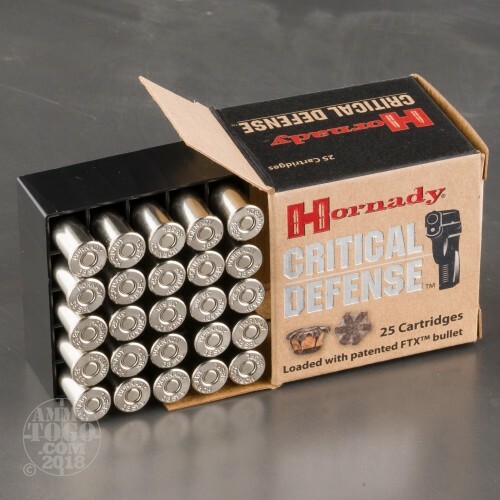 You can trust you and your family’s safety to the only handgun ammunition specifically engineered to deliver 100% consistent performance every single time - Hornady Critical Defense.